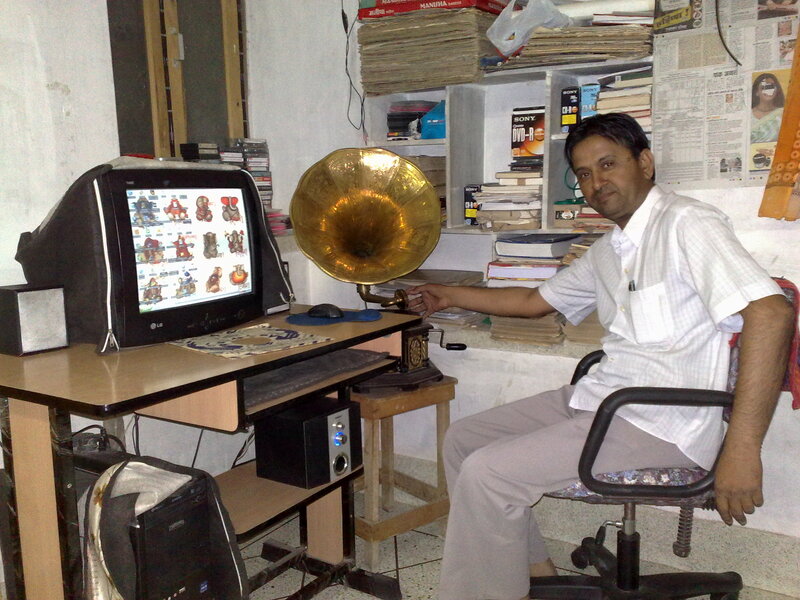 In June 2009 I received an mp3 CD of 187 songs by Khemchand Prakash. The CD was sent to me by Har Mandir Singh who told me that it was put together by Shri Girdharilal Vishwakarma of Jodhpur. Shri Vishwakarma believes that Hindi film music (specially the vintage music from 1931-50) is part of artistic heritage and everybody should be able to listen to it. I will be posting songs from the CD soon. Shri Girdharilal Vishwakarma is a painting artist and runs a handicraft business in Jodhpur in Western Rajasthan in India. He is recipient of a national award from President of India as a Master Artiste. His whole day is devoted to his business of handicrafts and painting pictures but nights are purely devoted to his hobby of listening, collecting and preserving old film music. He is an avid Hindustani Film Music collector. He is in the big league of record collectors having his own vintage record collection. His major interest in preserving songs from Hindustani films released between 1931 and 1950. Music listening is his hobby. He was attracted to Hindi film music when he was a teenager by tuning to Vividh Bharti. 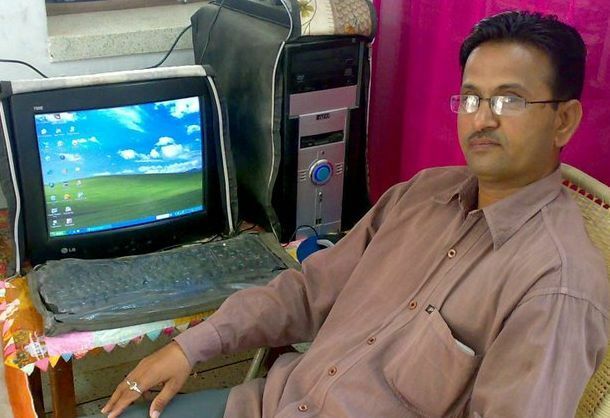 He is still in love with Vividh Bharti. New songs do not appeal to him and he continues to listen old filmi songs. Girdharilal ji is in the process of digitizing his vast collection so that the Hindi film music heritage is preserved for coming generations. Vividh Bharti did a half an hour program on him in 2009. Noted announcer of Vividh Bharti Kamal Sharma interviewed him in Jodhpur. The program when aired proved to be a major hit.